I hate to say it, fellow Christians…but I’m afraid Christmas may be killing us. Every Christmas, there seem to be increased demands upon our lives. More presents, more parties, more junk food—we run ourselves ragged trying to get the most out of the season. And when Christmas Day finally rolls around we are ashamed of our weight gain, afraid of looming credit card bills, and too tired to really enjoy it all. Our solution to the excess is to add more “Jesus” to it. But perhaps “more” isn’t the answer. Bloated with the same busyness and overconsumption as the rest of the world, we end the season exhausted and burdened with guilt rather than refreshed and renewed. But there is a better way. And we don’t have to make it up. In the ancient church calendar, the four weeks preceding Christmas is a time of preparation when the church celebrates Advent. Advent focuses on two stories. The first story is of Israel’s waiting for God’s deliverance before Jesus’ first coming. The second story is of our waiting for God’s deliverance through Jesus’ second coming. The themes of Advent are longing and waiting. The season’s color is purple, symbolic of repentance and suffering. During Advent, we live a month of simplicity and soul-searching. A bit somber? Perhaps. But just as we experience seasons of joy and loss throughout our lives, the Advent season allows us to grieve tragedy and acknowledge that all is not right in our world. It provides a way for us to give voice to our frustration that while we are not all right, our choices still matter. You see, just as the Israelites experienced hope at Jesus’ first coming, so shall all the nations of the world experience hope and salvation at Jesus’ second coming. Brokenness will not have the final word in the universe. Advent celebrates the waiting for the hope of what is to come when all will be made right. 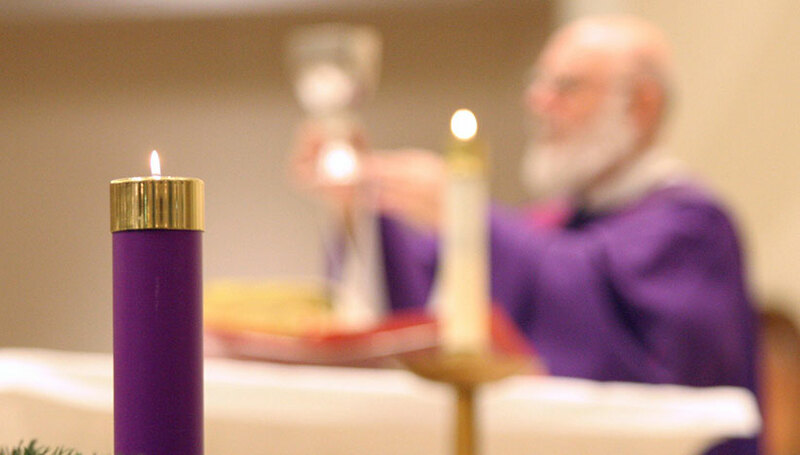 The sober simplicity of Advent stands in stark contrast to the excesses of secular Christmas. But, paradoxically, Advent sets us up for an even greater celebration once Christmas finally arrives. By allowing ourselves to absorb the deep sense of longing for a world who’s needs have been fulfilled by Jesus’ coming, we can then fully savor His first coming, as a Savior to all mankind. After a month of putting your spiritual house in order, one need not feel any guilt about twelve days of holy feasting. Bing Crosby and eggnog never felt so good. The time for true peace and joy has come. There is no single right way to do Advent. We each have our own situations and life-stages that will make certain practices better for some than for others. But here are a few suggestions—consider which would be best for you. Simplicity & Moderation—Start here. Try seeing how many things you can say “no” to. How many parties do you really need to go to? How many decorations do you want to put up…and how soon? If you’re tempted towards over-busyness at this time, try booking chunks of time in your schedule to accomplish nothing, and instead pray, meditate, or go for a walk. Consider choosing to eat simple foods throughout the week and save holiday treats for weekend get-togethers. Set a modest budget for presents and stick to it. Refuse to take on increased debt to fund holiday expenses. Take note of the simple pleasures and joys that arise throughout the season. This practice often brings a great sense of peace and calm. Service—Serving Jesus by serving others can be a great way to refocus your spiritual life. From taking a neighbor cookies to volunteering at a local shelter, there are plenty of things one can do to serve others. Just remember…adding service on top of an already busy schedule can lead to burnout. Consider what not to do before adding more to your schedule. Serving others restores our sense of humble gratitude. Gather to Worship—Advent, since it is a season of the church year, is best experienced… wait for it…in church. Consider attending Advent services during the four weekends preceding Christmas. The scripture readings, songs, and prayers will both enrich and encourage you on your Advent journey. Check out some of our worship opportunities here. Read & Pray—One of the most powerful tools is time spent meditating on holy scripture and prayer to God. Set aside time daily to read, mull over a passage of scripture and pray about what you have read. This time focuses our minds on wisdom and grants our lives meaning and focus. The season of Advent can be a great time for teaching children about patience, the church year, and Jesus’ first and second comings. The trick here is to do things that are meaningful and memorable but not onerous. If you are in the habit of setting up a nativity scene in your home, consider leaving out the figure of the Christ Child until Christmas Eve—you could even add new characters to the scene each week until Christmas to increase anticipation. Many families purchase a table-sized Advent Wreath (complete with three purple candles and one pink one) and light the appropriate candles each night at dinner. Consider reading short portions of Advent themed scripture with young children and invite them to draw a picture in response (here's an article with more info, including downloadable templates you can use). You won’t be able to get away from all the Christmas stuff happening all around you during Advent, so my advice is…that’s okay. 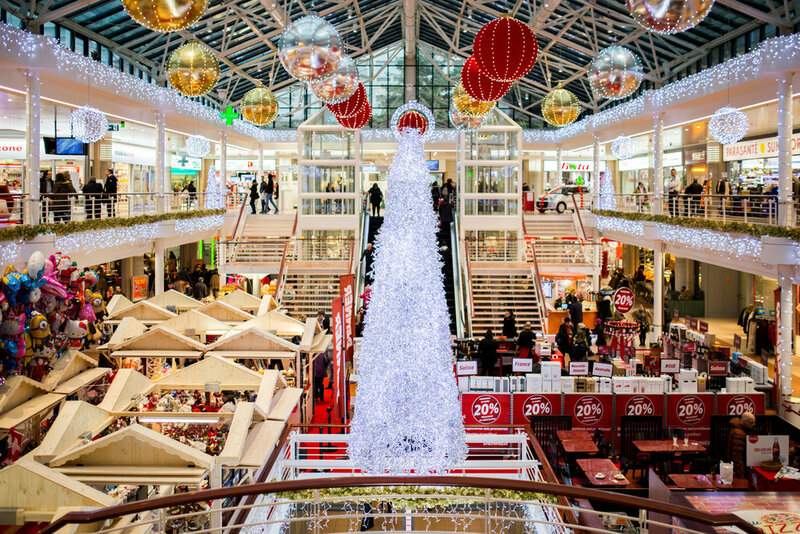 There is probably no value in skipping your company’s holiday party simply on principle…not to mention all the good times with family and friends that the secular Christmas season provides. Rather, prayerfully consider which parts of the season are reasonable and good to participate in, and let the rest go. And please, I beg you, don’t go around trying to convince everyone it’s not really Christmas yet. No one appreciates a liturgical Ebenezer Scrooge. Then, come December 25th, celebrate! Enjoy a slice of pie (or two) on Christmas Day. Spend time reading the Christmas story (Luke 2 is a great place to find it), spending time with loved ones, and enjoying a holy feast day. And remember, Christmas isn’t just one day—it’s a dozen! In the weeks to come, we’ll be sharing ways to reflect and celebrate on the joys of the season for each of Christmas’ 12 days.